Photo credit: By Angr under Creative Commons Attribution-Share Alike 3.0 Unported License. With a population of over 300 million, the United States is divided into different regions. These regions have distinct qualities as determined by the individual status of the states that comprise each division. 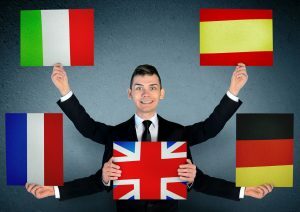 The factors that contribute to a region’s overall attribute include economic, cultural and language aspects. Since every state generally subsists through both federal and state support, it can be said that economic disparity is minimal. Thus if there is at all a pointed variation, it is in the language. Varying accents characterize American English, of which the Southern American English accent stands out. 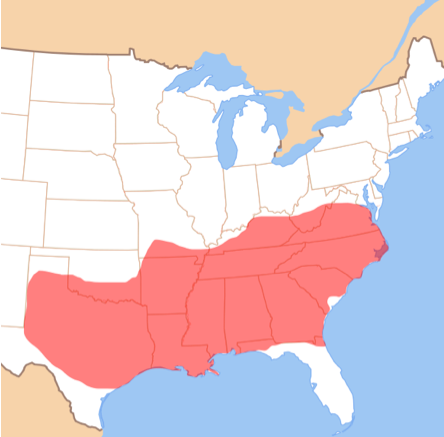 Southern is a group of English dialects spoken all over the Southern area of the United States. The Southern region extends from Maryland to Delaware and covers majority of West Virginia, Kentucky, Gulf Coast, Texas and Oklahoma. Southern American English comprises the biggest group of accent speakers in the country. Furthermore, Southern American English is classified into several sub-dialects characterized by their respective parlance. In some ways the dialects bear similarities and commonalities just like African American Vernacular English having common traits with Southern dialects because of African American historical links. The regional coverage of Southern dialects include: West Virginia, Kentucky, Oklahoma, Virginia, Southern Delaware, Florida, most parts of Texas, Arkansas, Louisiana, South Carolina, North Carolina, Mississippi, Tennessee, Georgia and Alabama. Excluded from the coverage are the southernmost parts of Florida and the outermost areas of western and southwestern Texas. How did Southern dialects come about in America? 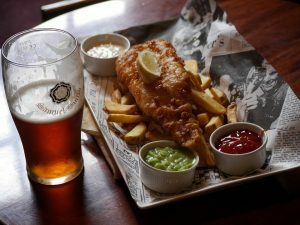 The dialects actually sprung from the southern settlements populated by British Isles immigrants who arrived in the country from 17th to 18th centuries. Other settlers such as the Protestants from Ulster, Ireland and Scotland likewise contributed to the overall makeup of Southern English. Meanwhile migrants came in masse after historical disturbances like the Great Depression, World War II and Dust Bowl. In overview, many circumstances gave rise to the birth of Southern American English, thereby making it the largest regional dialect in the U.S.
For more insight about the Southern dialects, here is a short recap of five of the places where and how the dialects are spoken. Western New England. Located in suburban Massachusetts, this area is populated by people who drop the “t” in enunciating words. Therefore, they call Bill Clinton as Bill Clin-n.
Eastern New England. This is where British migrants first settled, hence the name of the place. Not surprisingly, people here have a distinct twang similar to the British way of speaking. Hence you must “pahk” your “cah” in the “cahpahk” lest your vehicle get towed if you violate “pahking” regulations. Neat, is it not? Boston Urban. If you have watched the television show Saturday Night Live, you may have noticed the Southern dialect used by Sully and Denise and that of John Kerry’s Boston Brahmin accent, although they differ in the sense that the latter is classier. New York City. Oh, the multicultural blend of New York residents is truly stunning. The Big Apple is truly big in a literal sense but the mix of ethnic groups living here is not a hindrance for the residents to put together their own distinct sound. It is said that you can tell authentic New Yorkers with the way they speak, which is different from the rest of Americans. New York speakers pronounce TH as D, and they have a way of merging words together so easily it sounds like they are just munching on every vowel. The Southern dialects are so vast that it will take years for a language scholar to completely grasp each vernacular. It could be safe to say to just stick to Standard English, the one that is approved and promoted by authorities of the English language. But as they say, when in Rome, do as the Romans do. Hence if you want to blend in with locals while in South Midland, dare not say “sorry” when you have offended somebody. In this region where tinge of Elizabethan English is prominent, the word “sorry” actually means “inferior.” In afterthought, it quite makes sense, does it not?